Believe it or not, there are over ten million commuters busily going about their business on Honda’s legendary CG125. While popping over to the far east to pick up a used example may be out of the question, there are still a fair few for sale in the UK. Somewhat unfairly chastised for being dull and mundane, the CG does what it says on the can and provides hassle-free small capacity riding with no frills. Is there anything wrong with that? Of course not. The great thing about the CG is what you see is what you get, there are no hidden surprises, no pitfalls and no major issues. The high bars and narrow seat provide a comfortable riding position while the lightweight and narrowness of the bike make it maneuverable and reassuring to ride. The suspension is understandably budget and by now probably lacking in any kind of damping ability, however spares are both cheap and plentiful. If you are looking at a machine to simply gain your two-wheeled wings and sample the joys of riding bikes then the CG is an excellent choice. 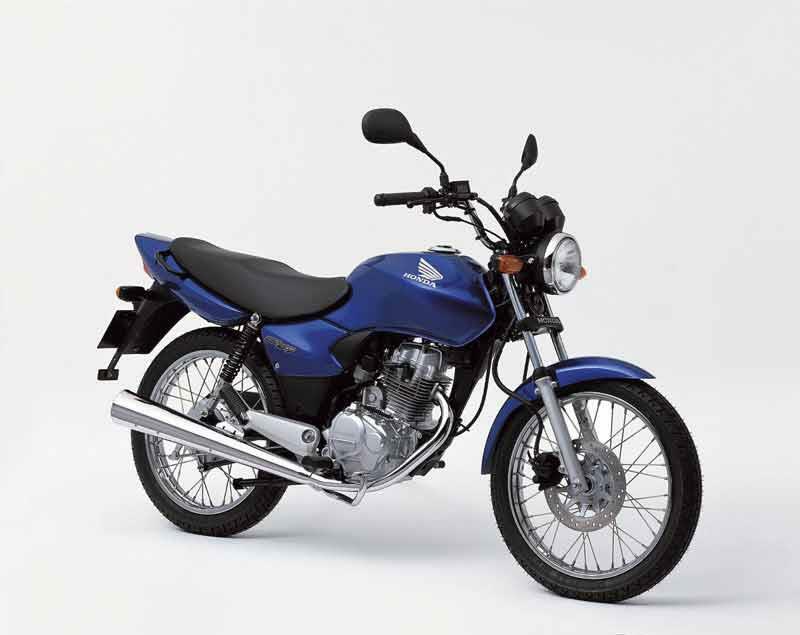 The SR125 first appeared in 1982, bringing with it cruiser styling to the 125cc class. The single overhead cam two valve four-stroke engine is about as basic as it gets, but is reliable, comes with an electric start and can just about do 50mph on a good day. The finish isn’t great, but the styling makes this an interesting starter bike. Suzuki’s cruiser 125 is a bit chunkier than the SR yet not as common due to the fact it only appeared in the UK in 1994 and was discontinued seven years later. Like most 125s the GN uses a basic four-stroke engine with five gears, however despite a disc front brake the Suzuki has poor stoppers and an even poorer finish. All prices correct as of 13.08.13. Get a quote for your motorcycle insurance today at MCNcompare.com. Don’t forget – if you renew before the end of August you will also receive a free £10 eVoucher to spend at Sportsbikeshop.co.uk. Terms and conditions at MCNcompare.com.